Warren Buffett, not surprisingly, is the man whose help Americans want most when it comes to investing in the stock market. So what’s Buffett’s best piece of advice? It basically boils down to this: Don’t sit there on the sidelines, or you’ll regret it. According to the Acorns 2018 Money Matters Report, more than 40 percent of those surveyed said they’d be most likely to take investing advice from the Oracle of Omaha himself, Buffett, who is worth a cool $85 billion. How about President Donald Trump? Not so much, as only 17 percent think Trump should be their go-to guy for market advice, compared to 32 percent who think Oprah Winfrey is best to talk finances and investing with. Despite their staggering successes, only 5 percent of people look to hip-hop-icon-turned-businessman Jay-Z or Facebook CFO Sheryl Sandberg for their financial wisdom. So what’s Buffett’s best piece of advice? It basically boils down to this: Don’t sit there on the sidelines or you’ll regret it. Still, many Americans are delaying investing until their financial situation improves, the Acorns report found. “There’s a sense that this is too big a mountain to climb,” Acorns CEO Noah Kerner said. Half of respondents didn’t invest any money in 2018, while 80 percent of those who did put less than $5,000 in the market. Acorns commissioned SurveyMonkey to conduct the research.The survey was not directed at Acorns customers. SurveyMonkey interviewed 3,403 people in November. 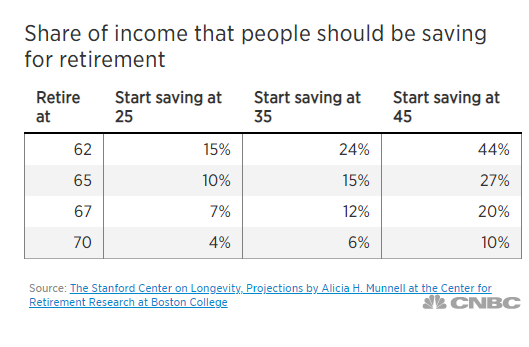 Another study, by TD Ameritrade, found that the average millennial doesn’t expect to start saving for retirement until their late 30s. People in the Acorns report said they’re staying on the stock market sidelines until they get a raise, find a new job or pay off their debt. Yet the decision to postpone investing is likely to become a regret, experts say. Taylor provided some math to demonstrate the importance of starting early. Even assuming a more modest 6.5 percent annual return, you’d have around $26,000 in 10 years, $168,000 in 30 years and $667,000 in 50 years. (Americans already spend more than $3 a day on coffee, Acorns found). “Time is the greatest money-making asset an individual can possess,” said Ed Slott, a retirement savings expert.